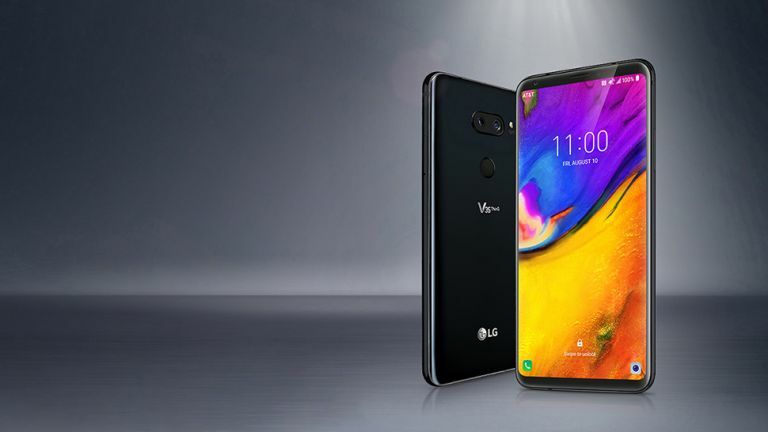 The LG V50 ThinQ, or whatever it ends up being called, could come with a staggering 16 cameras on the rear. Yup even the Samsung Galaxy S10 and iPhone 11 won't stand a chance. The new LG mega phone camera has appeared online in a patent document as spotted by the ever watching eyes of letsgodigital. This would, of course, be a world first but more important is the question, why? Well, according to the patent, 16 cameras is a very useful system indeed. A bit like the all seeing many eyes of a bug, this camera would be able to capture the scene from lots of different perspectives to nit together a master image. As such that could mean the ability to remove objects and people that you don't want in the final photo. The patent even shows how this would work with simple touches of the objects selecting them before removing them but leaving in the real background. Another nifty feature allows you to select a person's head in a shot which will let the phone search for other images of them. They could then be cropped in with a more flattering version of themselves. Creepy. On top of that this super-snapper would also be able to shoot video in 3D. Not the passé cinema 3D but more virtual reality video that can be viewed from a VR headset, perhaps. In the patent it shows a teddy's head which can be moved about in the shots after they've been taken. Yup, the creepy keeps coming. Of course all this potentially scary stuff may never arrive as this is still a patent document, so you can sleep easy – for now.